The Marietta Toyota Collision Center is an Auto Body Repair & Collision Shop serving Marietta and all of Cobb County. The friendly staff at our Toyota Collision Center are ready to assist you with your collision repair needs, and we even offer regular collision repair discounts and vehicle detail services. Our state-of-the-art body shop facility with I-CAR industry certified technicians are trained to restore your Toyota vehicle to its pre-accident condition. Marietta Toyota Certified Collision Center and Auto Body Repair Shop has the latest technology and trained staff to repair your car correctly the first time! Why Choose Us for Toyota Collision Repair? At Marietta Toyota Auto Body Repair and Collision Repair Center, we can repair your vehicle to the original manufacturer specifications and quality. 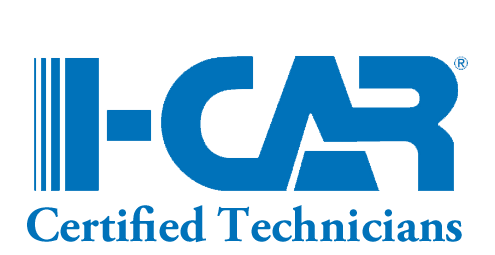 With over 200 years combined experience, our technicians are I-CAR Certified, and our Lifetime Warranty on all Repairs, Paint, Parts, and Workmanship will ensure your complete satisfaction. Our factory trained technicians will also complete the Toyota auto repairs in a timely manner. Our goal is to keep the vehicle only as long as is necessary for a safe and quality repair. At our facility, we offer Quality Auto Body Repair, Paintless Dent Repair, Full Body Painting, Collision Repair, Bumper Replacement, Car Painting, and much more. Give us a call at (470) 938-8428 or stop by today! Q: I want to take my vehicle to Marietta Toyota Collision Center but my insurance company said that I have to take it to their preferred shop. Is that true? A: NO! You have the right to take your vehicle to the shop of your choice. It is against the law for an insurance company to tell you where to get your repairs completed. Q: My insurance company said that if I used your shop, they would not issue a warranty. Is that true? A: The warranty is issued by the facility that completes the repair. Marietta Toyota Collision Center offers a warranty that meets or exceeds any warranty offered by insurance companies. Q: How long will you have my vehicle? A: Our estimators will give you a time frame based on the initial estimate. Keep in mind that there are often hidden damages that are discovered during the repair process. This can delay repairs while waiting on additional parts or your insurance company’s approval of the additional repairs. We make every effort to repair your vehicle as quickly as possible while doing a safe, quality repair. Q: What about a rental car? A: If you have rental coverage on your policy, your insurance company will cover the cost based on the limits stated in your policy. Check with your insurance agent on your particular details. Just because you have full coverage does not necessarily mean that you have rental car coverage. If you are a claimant, the responsible insurance company will typically cover your rental. If you have other questions about Collision or Auto Body Repair, please call one of our friendly collision repair experts at (470) 938-8428.